For nearly forty years, New World Library cofounder Shakti Gawain has given millions of people clear and gentle guidance to create a new way of life — one in which we listen to our intuition and rely on it as a guiding force. 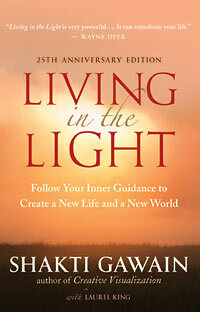 We hope you’ll enjoy this excerpt from the 25th Anniversary Edition of her book Living in the Light, which explains how following our inner guidance can help us create a new life and a new world. Whether you realize it or not, you play a part in the divine plan of creation. Once you recognize this, you can gain access to the immense power of the Universe. 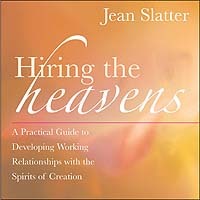 How do we find meaning? How do we find love? How can we create the perfect life? The search for these answers often involves a lot of strife and struggle. It doesn’t matter how much success, love, or money we have — we always tend to long for something new and different. This is seemingly part of the human condition. But according to Roger Housden, author of Dropping the Struggle: Seven Ways to Love the Life You Have, the source of our longing is not outside of ourselves; it begins and ends inside our own hearts. We hope you’ll enjoy this short interview with Housden, in which he proposes that instead of seeking and searching externally, we try dropping the struggle and loving the life we currently have, right now. How do expectations affect children’s participation and success in sports? What’s the difference between a good performance and a bad one? Why does the fun of playing disappear so quickly when games get competitive? 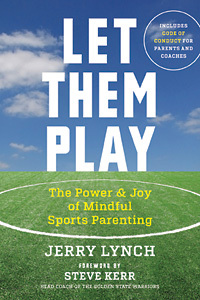 In the following excerpt from his new book, Let Them Play: The Power & Joy of Mindful Sports Parenting, author and sports psychologist Jerry Lynch suggests some very helpful expectations and goals for parents and coaches to have, so they can just let their kids play and enjoy the game they love. Is it possible to love the life you have — acknowledging and accepting the conditions of your life exactly as they are — and drop the struggle to make yourself and your life different? 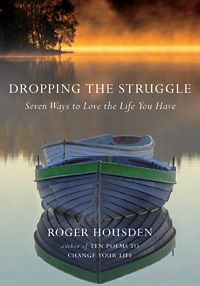 This is the question that acclaimed teacher and bestselling author Roger Housden, of Ten Poems to Change Your Life fame, invites us to explore in his new book, Dropping the Struggle: Seven Ways to Love the Life You Have. Kids play sports because they love playing and having fun with their friends, but it can be very stressful for parents, who often sacrifice their weekends and thousands of dollars for camps, traveling to away games, and employing special coaches. Many parents are afraid that their kids are going to fail — in sports, in school, and in life — and they start to measure their own self-worth by how “successful” their kids are. But when we can just let our kids play and have fun, they get exactly what they need, which is the best kind of success. Jerry Lynch, author of Let Them Play: The Power & Joy of Mindful Sports Parenting, shares some tips on how mindfulness can help parents and coaches better support their kids.